Your prescription for damaged furniture! These antique chairs belonged to a relative of our client, had several coats of paint and were stored in an attic for years. The client wanted them to look nice again so she could display them. We removed the paint and smoothed the surfaces. 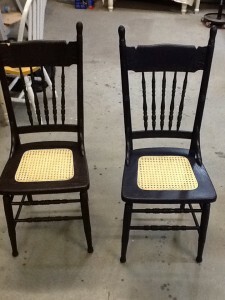 Next we applied a General Finishes milk paint (one chair in Dark Chocolate and the other in Coastal Blue). The chairs were clear top coated to protect the finish. 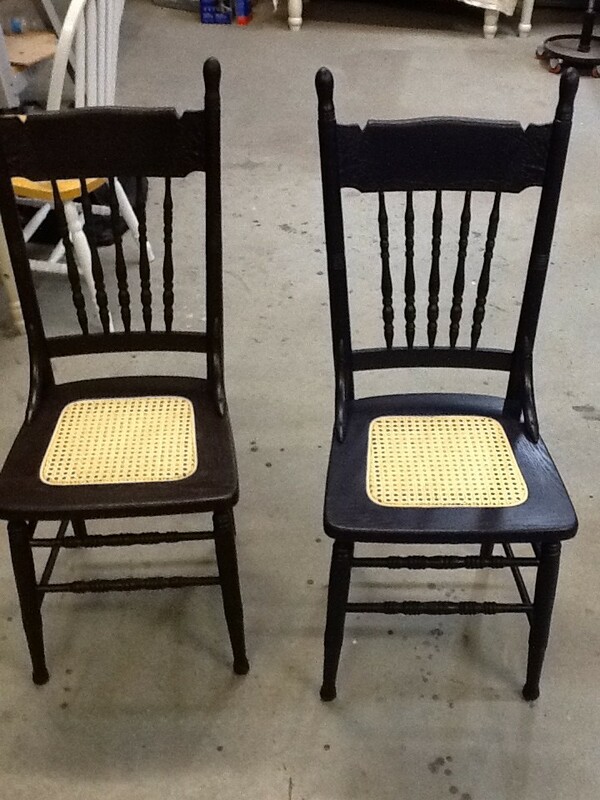 The seats were restored using sheet caning. 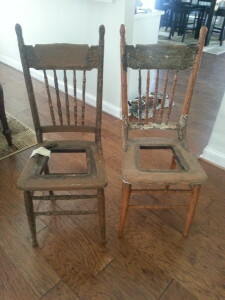 The customer was so pleased with our work that she took the chairs on a trip to visit her Mother and showed them to her. This is the ‘before’ picture. Should you fix or replace your furniture?